A few years ago, my mom and dad were sitting at home, nervous in the light of the #Jan25 Movement. According to them, the Muslim Brotherhood was sure to take over because they’re the most organized. The youth and the liberals were naive to make a change. They put the hands of the country in the hands of fanatics, and paved the way for fascism, in the same way many revolutions of the past have opened the doors to tyranny and oppression. I remember talking about this very large, very real concern with my friend Mira. Having just been to Egypt, and having spent time with the people, and having caught a whiff of the spirit of the revolution just assured me that the people have learned that they can make a change, and they won’t stand to see their country overrun by oppressive forces. They did it once, they can do it again. There’s already a lot of stuff out there as to why I believe the events of July 3rd 2013, are justified as a legitimate and democratic act by the people. To me it’s a no brainer, when the ruler of a nation dissolves any accountability, restricts freedom of speech, appoints a terrorist to run a city that their terrorist organization once bombed. Such a no brainer, to me, why the people did what they had to do. But there’s something very personal about this whole thing. And it’s about Egypt. And Egyptians. And about Egyptians being Egyptians in Egypt. Growing up, we are taught to be proud of our culture. Our history, our ancestors. Our achievements and contributions, as a people, to science, math, technology, language, and religion. Egypt had always been a beacon of progress and intellect but things have changed for Egypt and a cloud descended upon the culture. Egypt has a long history of occupiers, from the Romans, Greeks, Arabs, British, French, all the while, the culture diluted, the language obliterated, the sense of identity and history questioned, and its people divided. 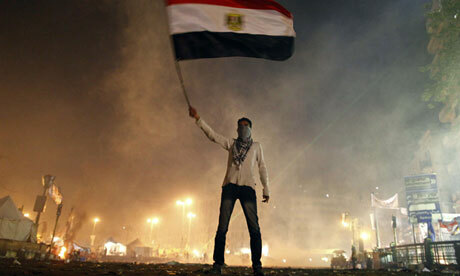 But Egyptians still hang on, and have been hanging tough for a very long time. However, the Muslim Brotherhood, The Ikhwan, if their agenda ever becomes realized, we’re talking an even further obliteration of Egypt… FROM Egypt. Just watch history re-written before your eyes. All of this married with a culture of fear of authority (political and religious, regardless of religion), and fear of change. If things aren’t working, it’s just too bad. This has always been part of the conversation I’ve witnessed around me my whole life. A fear of authority and the treatment of precedent and institutions as if it always was, and always shall be. But if you are Egyptian or if you know Egyptians, there are things in Egypt that still persist. I don’t even know how to put it into words, but there are things you just know are Egyptian, that have persisted in spite of the proclamations, laws, and bloodshed that has mired our past. In our language, our music, our humor, our affection, our stubbornness, our dance, devotion, and family. It’s there. You can build a road through a forest, but even the smallest blades of grass can cut through cement and grow into something magnificent again. The events of July 3rd speak to me as just that. It was an unravelling of this culture of fear. The people had enough evidence during one year, to see the course of history being written, and it was time to say, no more. It was a people taking a stand for their own heritage and destiny. It was a united people, being a beacon of light for the entire world. It was the chipping away of complacency and it was a defeat even if momentarily, to cultural division. This was not just the toppling of a regime that had been in power for a year, this was the beginning of the dissolving of a cultural trend that has bound our people for longer than we could remember. Of course I want the leaders of the USA to be on the right side of history in regards to this matter. I want folks to look deeper at the nuances of the events of the last several years, and not undermine a word like democracy to be defined by a single moment in the democratic process. That said, we’ll see what happens. I’m proud of what the people are accomplishing.